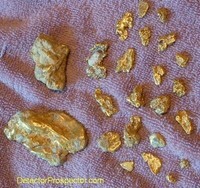 I visited Ganes Creek, Alaska in 2011 for two weeks of gold nugget detecting. I have been there many times before and have other stories about Ganes Creek on Steve's Mining Journal. 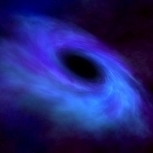 So this is intended more as an update with latest tidbits than a full-blown story. For that, see the Steve's Mining Journal contents page. 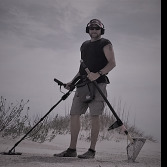 I took two detectors, a Fisher F75 Special Edition and Minelab GPX 5000. I used the F75 SE most of the time since detecting at Ganes Creek is very much like a competitive hunt. I wanted something light and fast for the bulldozer pushes. The Minelab I brought along for off push hunting in the evening or between weeks. First off, the theory that the richest material mined on the bottom ends up on the tops of the tailing piles is proving out. Most of the larger bucketline cobble piles and dragline piles have been bulldozed, and the biggest and easiest to find large nuggets were in the top layers. Bulldozing deeper into the same piles is producing gold but on the whole the nuggets are smaller. Like 1 pennyweight and 2 pennyweight in size. Larger nuggets do turn up but time and again piles that once produced many large nuggets are now seeing slimmer pickings appear. I found the most nuggets in both of the weeks I was at Ganes, but they were smaller than what I have found in the past. I got about two nuggets a day average, and my first week only added up to .86 oz. Nice stuff, but no big ones. Only by heading out on my own and hunting an old dozed pile got me a 2.6 oz nugget on the day between weeks. I got a 1.25 oz nugget soon after during the second week on a push on a pile that still was near the top. Piles that used to produce big nuggets do not seem to be producing the big ones any more. Makes sense when you think about it. My buddy Bernie got a 5.04 oz chunk out of the cobbles. Now Bernie my friend, if you are reading this I am not trying to put your find down. The fact is though it was a 5 oz rock with maybe a half oz of gold sprinkled in it. Many people would have passed over it for a hot rock, so Bernie did well in getting it. But it puffed up numbers in week two beyond what it really was. I'm just trying to be realistic here in my report. Week One had 9.38 oz for 13 people. Week Two had 19.65 oz for thirteen people but that included my off-push 2.61 oz find and Bernie's 5.04 oz find. Knock them out and you have about 12 oz for thirteen people. Almost an ounce per person is not bad, but unfortunately it does not spread out evenly like that. These photos show how the finds went for weeks one and two. as you can see a few people found only a few or no nuggets. The nuggets in parentheses in the second picture were found in between weeks by those staying over from the first week. Some details on my 2.61 oz nugget find. The nice thing about booking consecutive weeks at Ganes is you get an extra day for free. People leave Saturday morning and new group arrives Sunday morning. You are on your own to hunt where you will on Saturday. The six of us staying over wandered up the creek. I had my eye on a dragline pile near where we had hunted the previous day, so stopped there while the rest went on up the creek. The pile was a big one that had been dozed a time or two with basically just the top knocked off. It looked like easy digging so I wanted to attack it with my GPX 5000. I had been using my Fisher F75 all week and wanted to give the Minelab a go for the day. I dug steel for an hour on top, then started to side hill the pile. The second target was just over the edge, about two feet below the lip. Dig, dig, dig, and out pops a large nugget! It looked like about 3 ounces. The good thing about Ganes is you can have many poor days and make it all up in one nugget. All the sudden I had most nuggets, biggest nugget, and most weight in the group. I hunted the rest of the hill but just dug junk. When I met up with the rest of the boys they also had found gold in an old push but nothing like mine. Still, it perked up the group with the feeling that our cold streak was broken. The nugget weighed in at 2.61 ounces, at today's prices possibly a $4000 find. It is solid gold with a bit of quartz, rather flat, would make a great pendant for a football player. I think overall I got the best results for the total of the two weeks, and at 5.65 oz the only thing I can say is the increase in gold prices has let me able to say I broke even plus a few bucks for two weeks. I think I am the only one who can say that. Ganes is now a place where if you have not ever found a gold nugget you can go and have a good chance of saying you found your first gold nuggets. But they will be smaller than what we would have expected in the past, and the chances of coming out ahead dollar wise is now slim. If you do not worry about getting back your investment and simply want to detect gold, Ganes is still one of the best things going. My worry is they (Doug & Company) do not recognize that and so the whole thing may shut down soon. The crew is not inclined to continue unless people are getting very good results but they may think people need more results than they do. I went to the UK last October hoping to find one gold coin and got none. I found gold almost every day at Ganes. Getting gold at Ganes Creek is easy compared to anywhere else. That is not to say it is easy. Just easier than elsewhere. I tried to jump start a situation where mining claims in Alaska would be easily available to the public in the way of pay-to-mine operations. It worked for a time but unfortunately only a few places became available. The process is just too difficult for most miners. We had a glory day with Ganes Creek and Moore Creek whereby significant finds became common. I sold Moore Creek and in one season it went offline. Ganes is near the end. I just hope they give it a go again next summer. I remember when nobody ever found a big nugget with a metal detector in Alaska and sad to say I think the best days are behind us. Not for me or others with an "in" but for the general public looking for a place to detect and have a shot at large gold. If Ganes is open in 2012, and it may take some lobbying, just sign up and do it. An era is passing and do not wait and wish you had done it. Great people, the best in the world as far as I am concerned, and getting to rub elbows with the crew at a real operating family oriented placer mine in Alaska is something only a few now reading will ever enjoy. Many thanks to the crew at Ganes Creek for giving me some of the best weeks of my life!